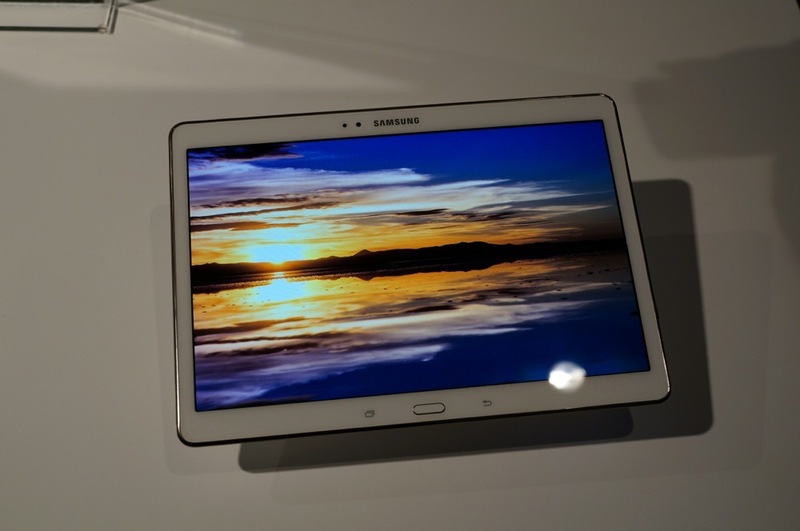 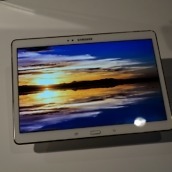 We were in attendance tonight when Samsung announced the new Galaxy Tab S 10.5 and Galaxy Tab S 8.4 (full specs) at the Galaxy Premiere event in New York City, and thankfully after the presentation, the company opened up a fancy experience section where members of the press and a few Samsung employees were able to go hands-on with the new devices. 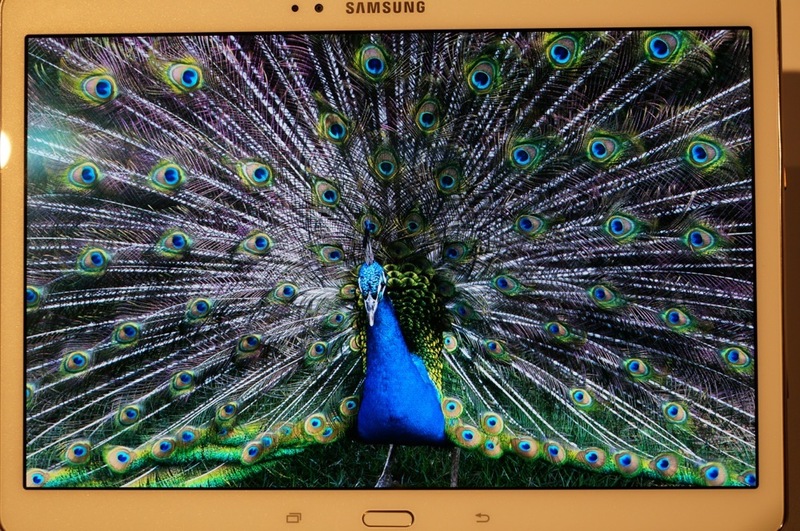 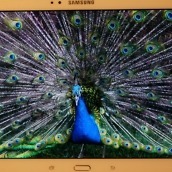 Both tablets sport gorgeous Super AMOLED displays, featuring a resolution of 2560 x 1600. 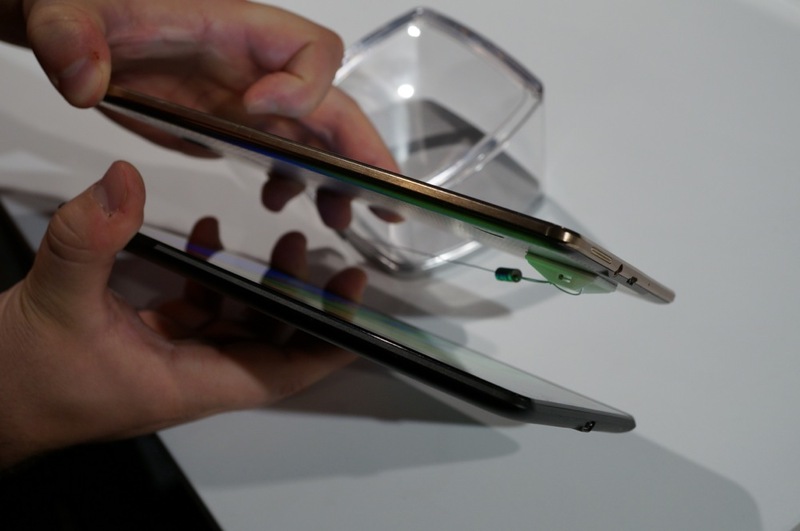 Both models presented were powered by Octa-core processors with 3GB of RAM, featured 8MP rear-facing cameras, NFC, are just 6.6mm thick, and run Android 4.4.2 out of the box. 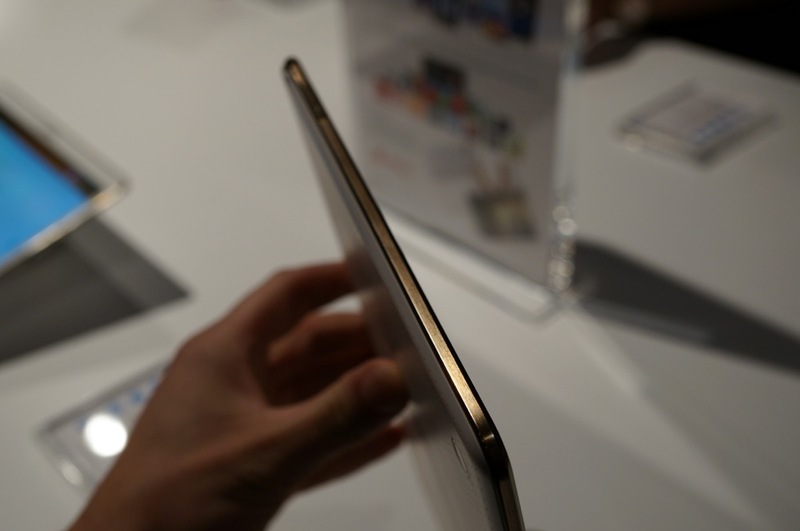 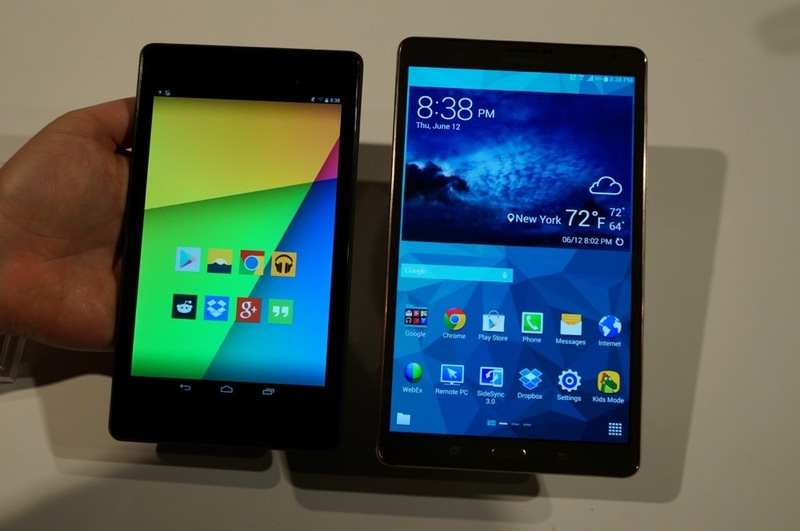 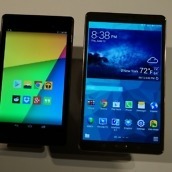 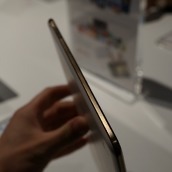 As far as impressions go, I was actually quite surprised by both the display and thinness of the tablets. 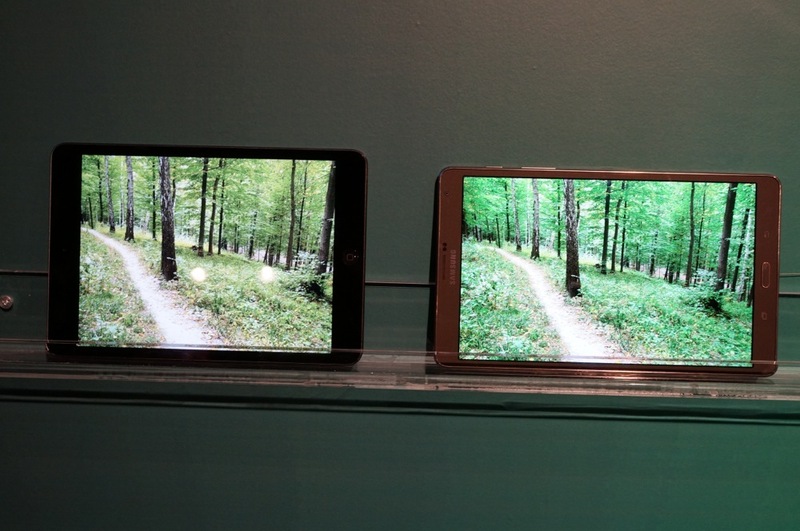 The displays are extremely crisp and bright, while the weight and portability of the tablets sets them apart from other devices in their field. 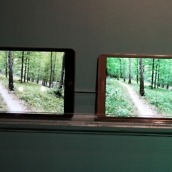 It is almost unreal how light they are, and when you are viewing a high-res video, it almost seems hard to imagine how far display technology has come over the past couple of years for mobile devices. 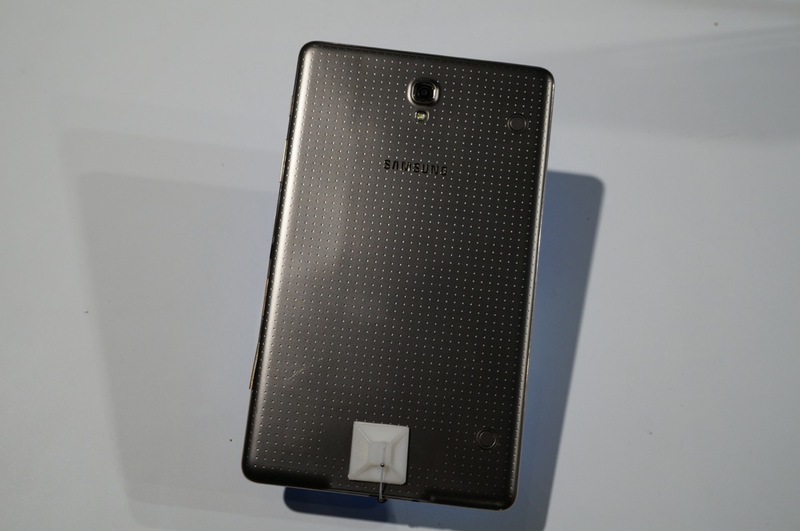 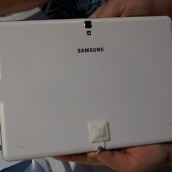 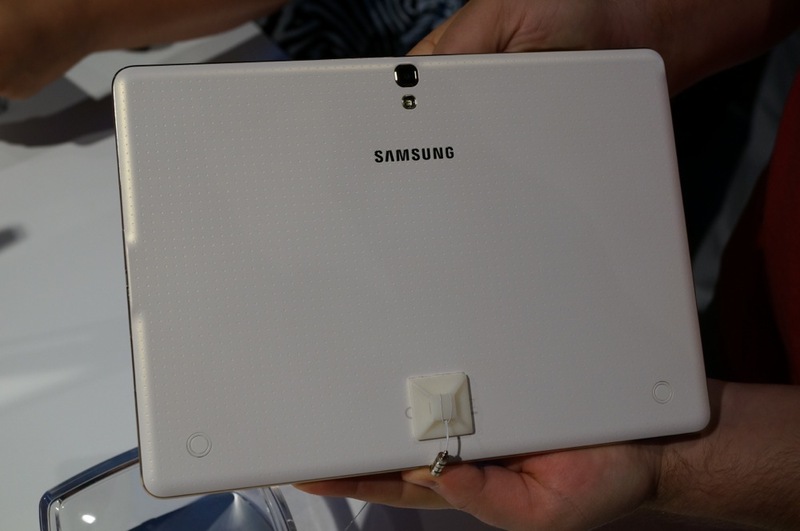 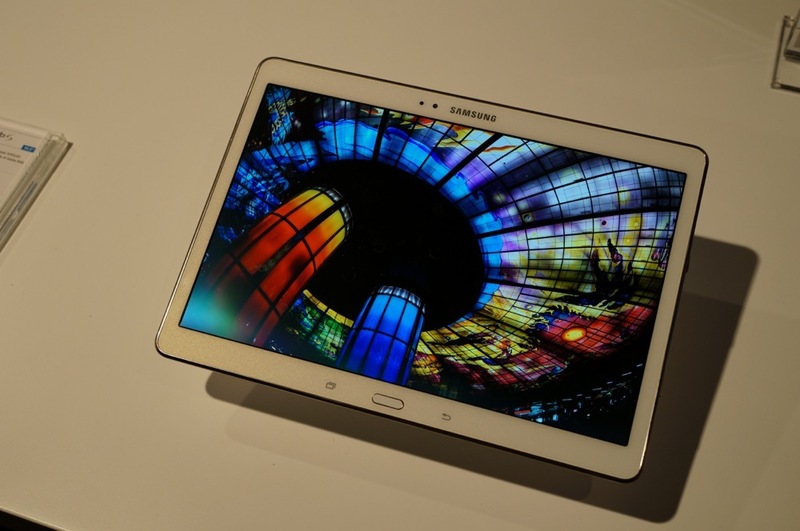 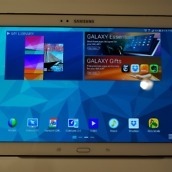 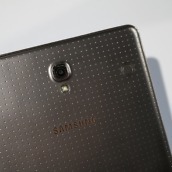 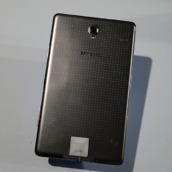 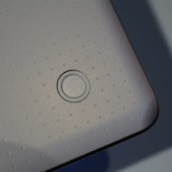 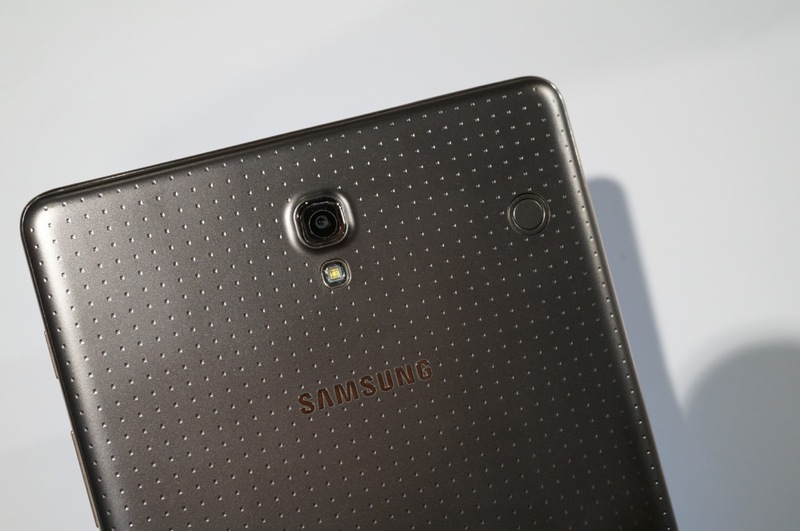 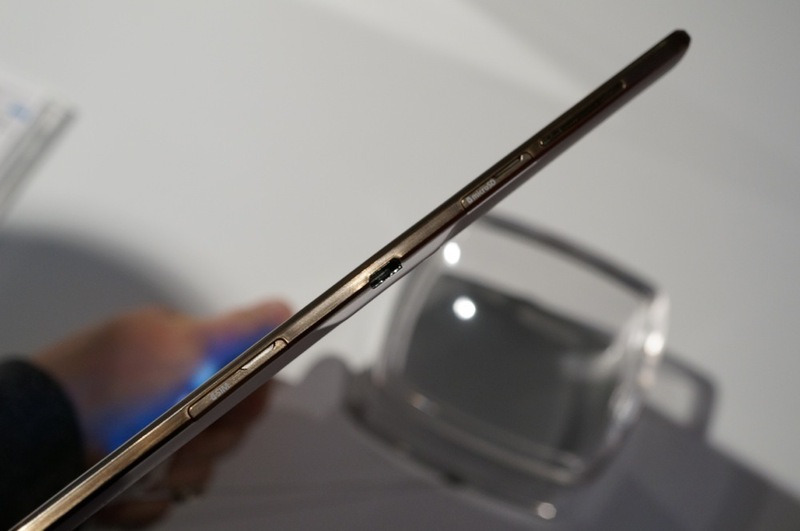 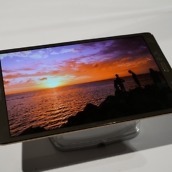 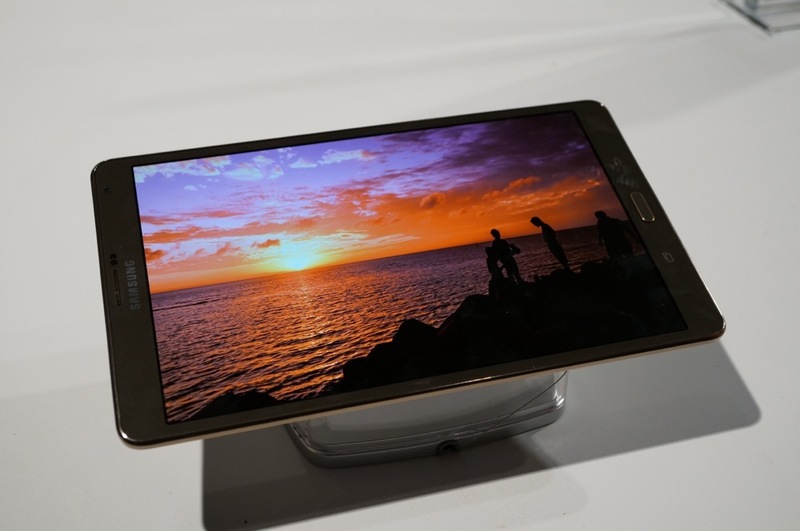 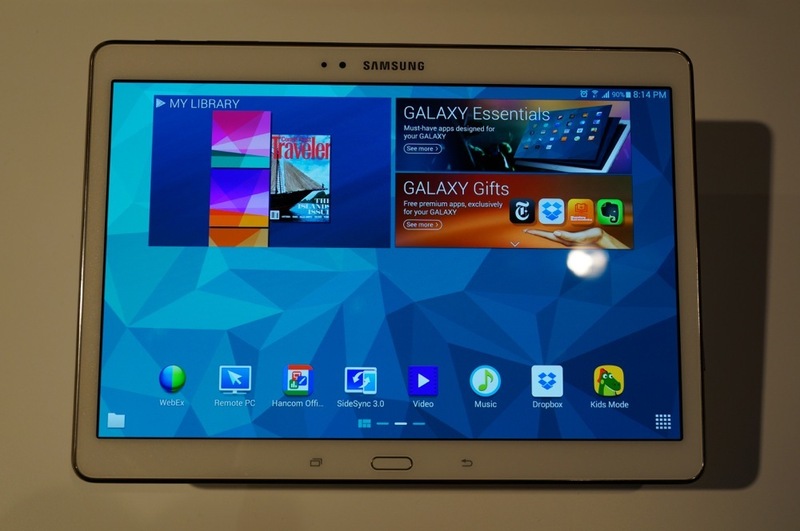 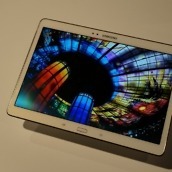 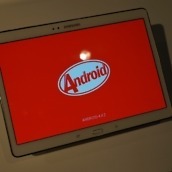 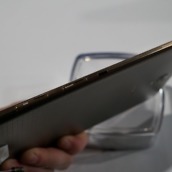 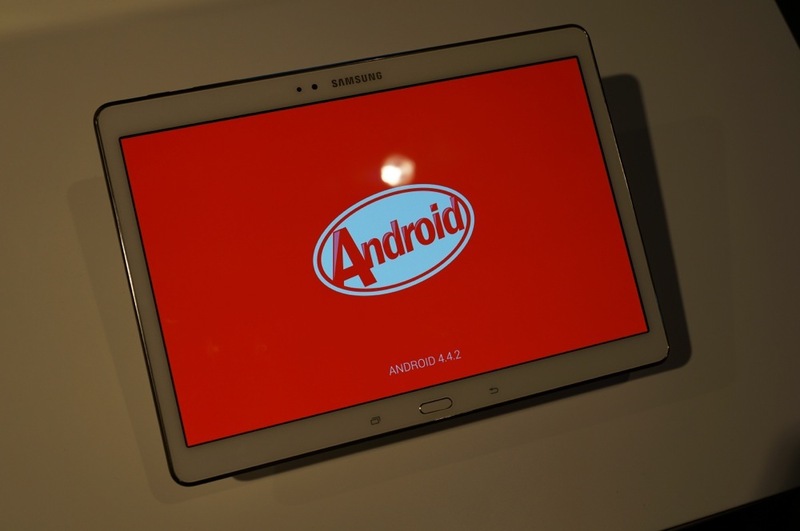 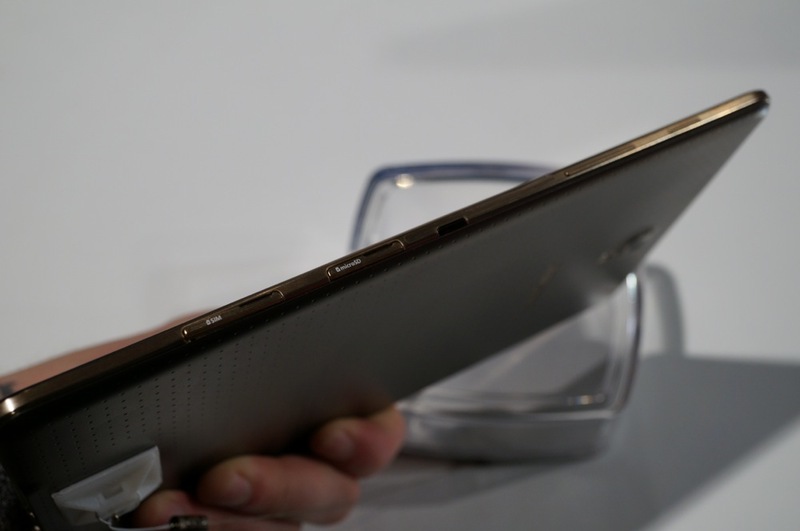 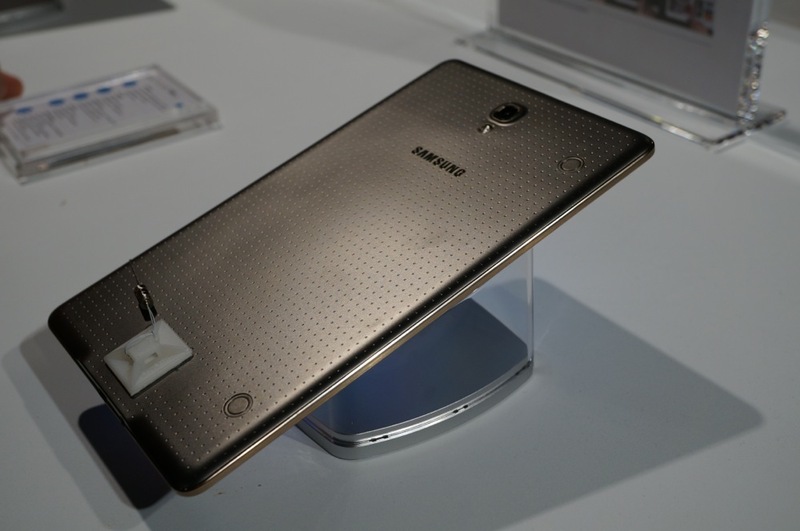 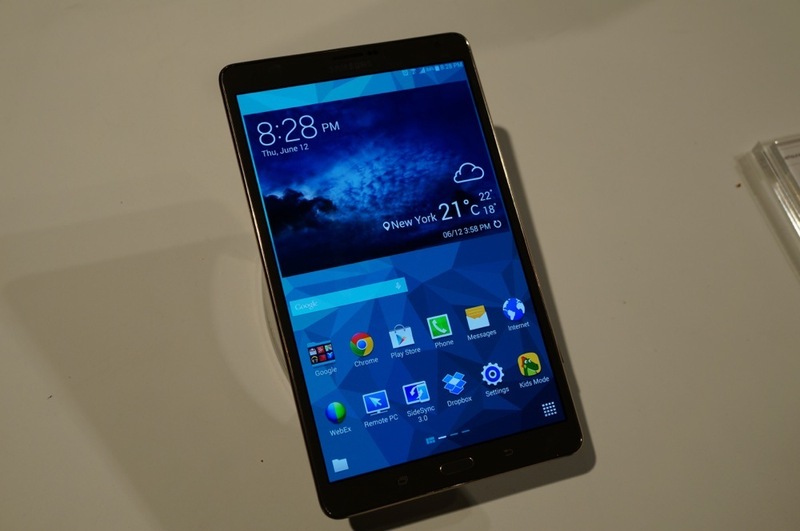 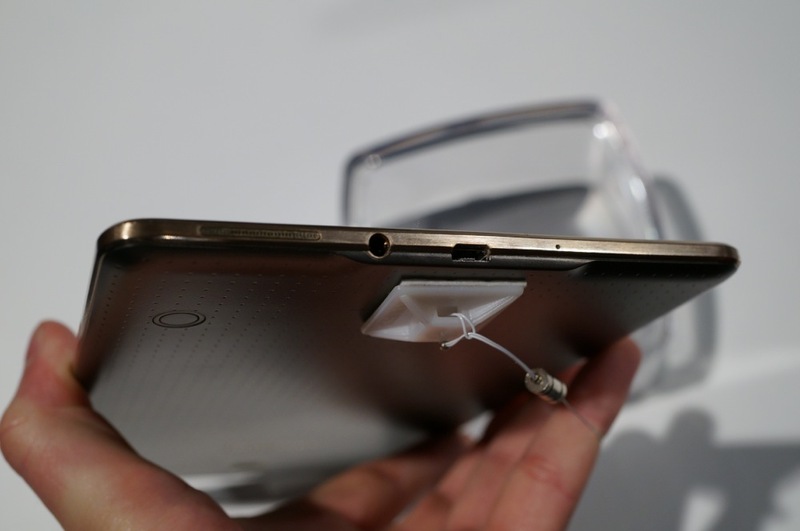 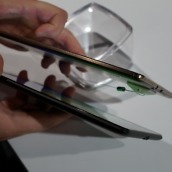 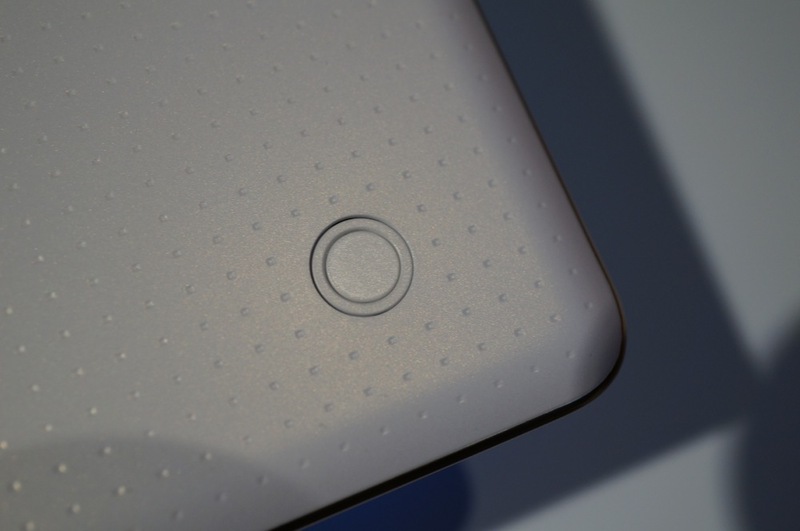 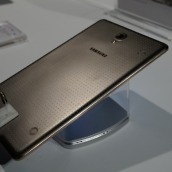 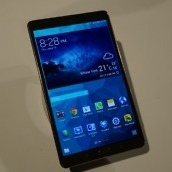 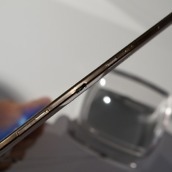 Below we have full galleries and hands-on videos for the tablets. 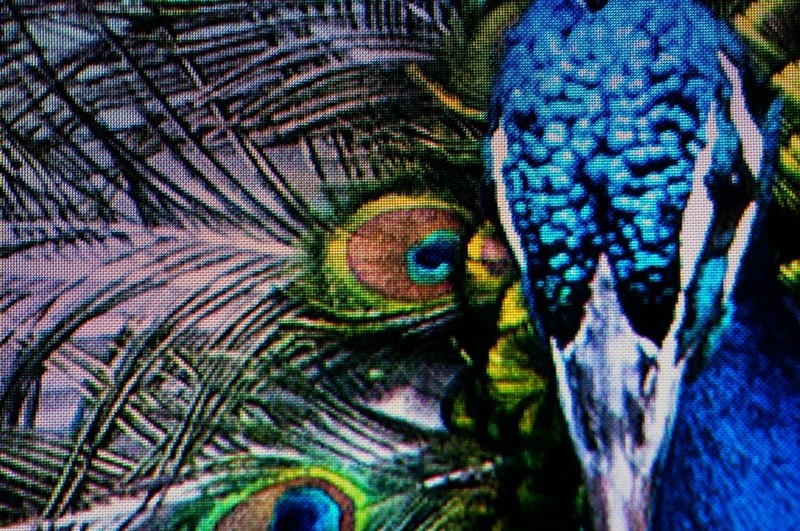 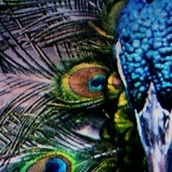 If you have questions, you know where to drop them.